Went to Gil's today to pay for the work John did on the Dragstar, and also to pay for the tickets to tomorrow's event. Hotdaym, I can't wait! Are you freakin' kidding me? 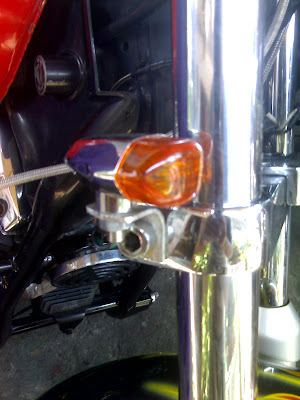 New signal lamps? You rock, John! You are the man!